Found in Egypt in 1996, the stone contains pre-solar grains that could indicate it originated outside of our solar system. A	A	small meteorite that landed on Earth approximately 28.5 million years ago may be giving scientists an unprecedented glimpse into the time before our solar system even formed. But the findings are confounding the prevailing theories about the pre-solar dust cloud where the sun, Earth, and other planets were born. 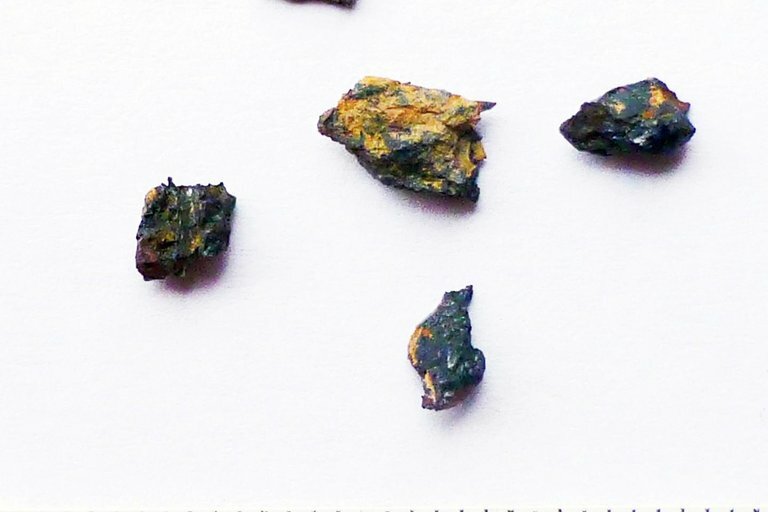 The Hypatia stone was found in southwest Egypt in 1996, and several studies show that it contains an unusual mix of small mineral compounds that are not known to occur on Earth — or elsewhere in the solar system, for that matter. And the compounds haven’t been found in other meteorites either or in any data we have about comets, either, according to researchers from the University of Johannesburg. While there are many types of meteorites, Hypatia is unlike any other meteorite in almost every aspect. "If it were possible to grind up the entire planet Earth to dust in a huge mortar and pestle, we would get dust with, on average, a similar chemical composition as chondritic meteorites," said researcher Jan Kramers, in a statement. "In chondritic meteorites, we expect to see a small amount of carbon and a good amount of silicon. But Hypatia's matrix has a massive amount of carbon and an unusually small amount of silicon." Additionally, dust grains embedded in the rock contains a high amount of carbon compounds, called polyaromatic hydrocarbons, which are a major component of the interstellar dust that existed even before our solar system was formed, the researchers said. The Hypatia stone was named after Hypatia of Alexandria, a 3rd-century female astronomer, mathematician, and inventor. Previous tests on the rock confirmed that it was of extraterrestrial origin, and with its unusual composition, it was at one time thought to be from the nucleus of a comet. Hypatia contains microscopic diamonds, which likely formed in the shock of impact with Earth's atmosphere or surface. These diamonds make Hypatia extremely hard and resistant to weathering. In fact, when Kramers and his colleague Georgy Belyanin tried to cut the rock with an industrial diamond polisher, the stone destroyed the cutting disk in about ten minutes. Together, these factors lead the team to conclude that Hypatia is an assembly of unchanged pre-solar material. But if that view of Hypatia holds up, that pre-solar material may be different than originally thought. The prevailing theory says our solar system's planets formed from the solar nebula, a huge, ancient cloud of interstellar dust. The solar nebula should be homogenous, with the same kind of dust everywhere. But Hypatia's chemistry questions that view. RELATED: The Universe Should Have Destroyed Itself at the Big Bang. Why Didn't It? There has also been some speculation that Hypatia could have come from outside our solar system. The researchers also found moissanite in the stone, which is a silicon carbide known to flow out in the solar wind of large, red giant stars called Asymptotic Giant Branch stars. The first known interstellar asteroid, 1I/2017 U1, aka Oumuamua, flew past Earth in October 2017 and shows extra-solar, “alien” material invading our solar system isn’t completely out of the question. But no one should jump to any conclusions, University of Central Florida planetary physicist Philip Metzger told Seeker. But, Metzger added, the pre-solar grains in Hyptia are different than anything we’ve seen before. Further complicating research is the extremely small size of the object. WATCH: How Did the Universe Survive the Big Bang?